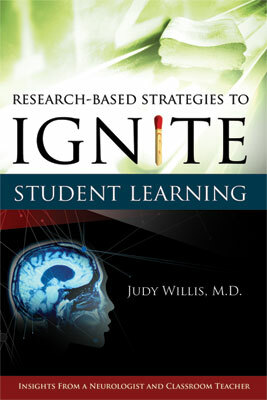 Drawing on her neurology expertise and classroom experience, author Judy Willis examined decades of learning-centered brain research to determine what information was most valid and relevant for educators. The result is a comprehensive and accessible guide for improving student learning based on the best the research world has to offer. Willis takes a reader-friendly approach to neuroscience, describing how the brain processes, stores, and retrieves material and which instructional strategies help students learn most effectively and joyfully. You will discover how to captivate and hold the attention of your students and how to enhance their memory and test-taking success. You will learn how to know when students are ready for learning and when their brains need a rest. You will also learn how stress and emotion affect learning and how to improve student engagement. And you will find innovative techniques for designing assessments and adjusting teaching practices to ensure that all students reach their potential. No matter what grade or subject you teach, Research-Based Strategies to Ignite Student Learning will enrich your repertoire of teaching strategies so you can help students reach their full academic potential. DR. JUDY WILLIS is a board certified neurologist and middle school teacher in Santa Barbara, California, has combined her training in neuroscience and neuroimaging with her teacher education training and years of classroom experience. She has become an authority in the field of learning-centered brain research and classroom strategies derived from this research.